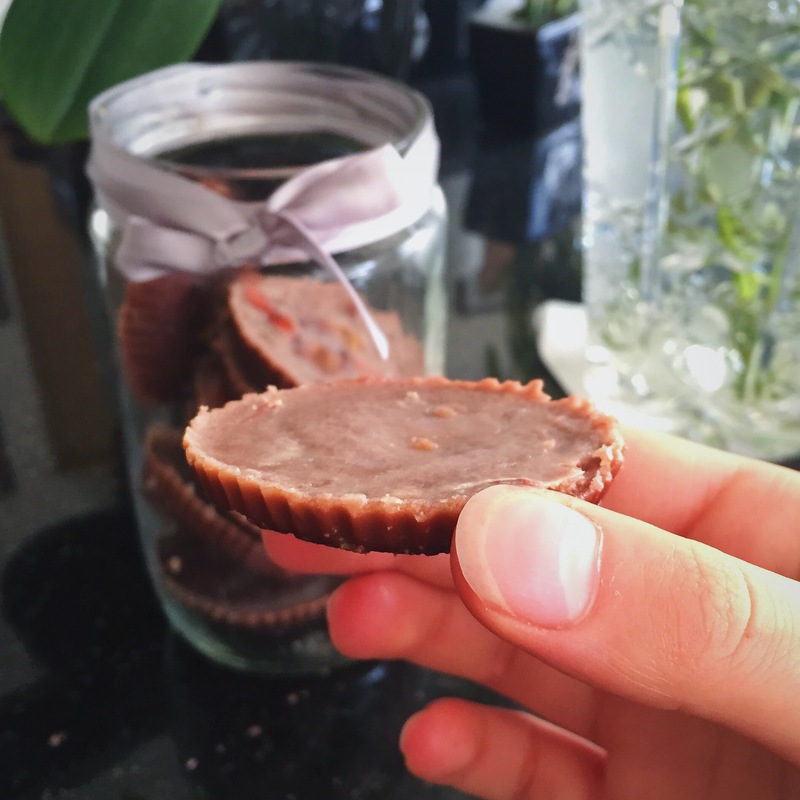 Seeing as peanut butter and chocolate is a match made in heaven, I wanted to create and share with you a recipe that is as decadent as it is nutritious. 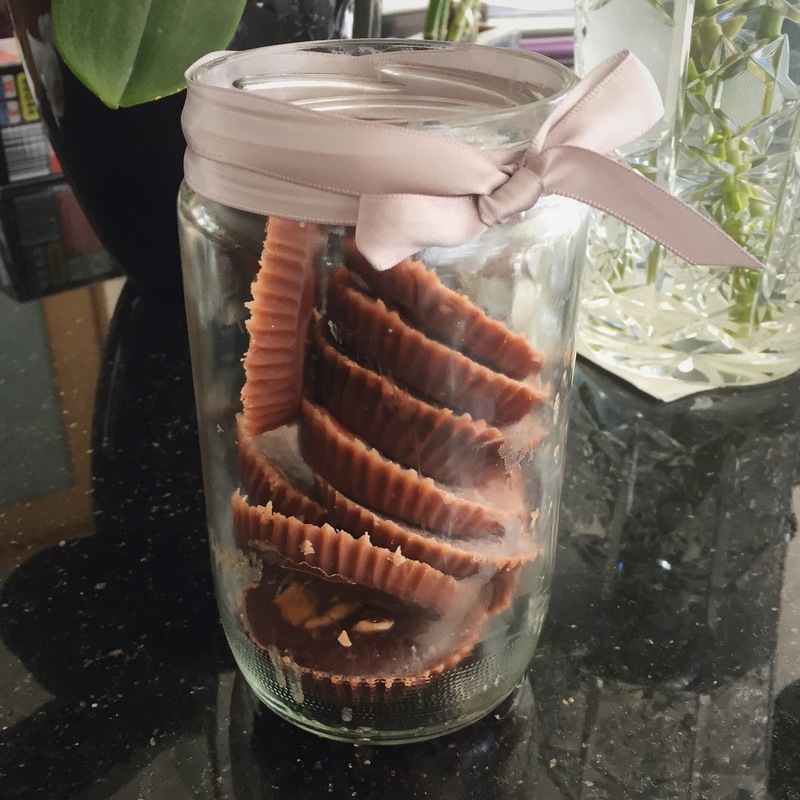 As a wholesome foodie, I’m crazy about healthy foods but do understand that balance is key – and that no everyone is super keen on green smoothies – so I was inspired by Snickers bars to create this surprisingly healthy treat 🙂 But be warned: it’s more tempting as it sounds and very difficult to resist! 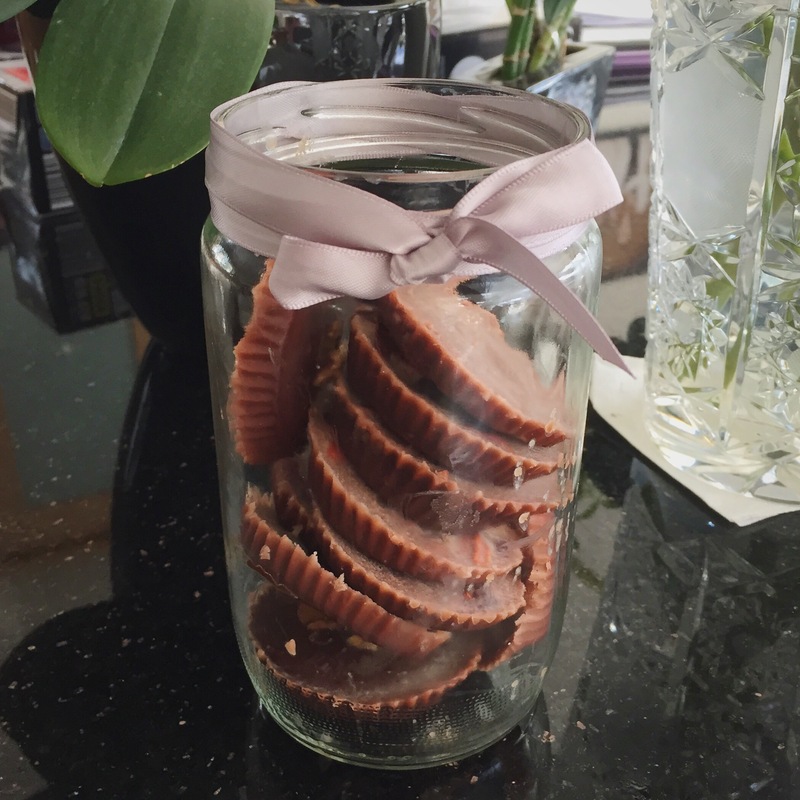 In the midst of oreparing my Snickers Treats at the Organic Blogathon 2015! Additional superfoods: Creative Nature Goji berries, Creative Nature chia seeds, Creative Nature cocoa nibs, white mulberries, golden inca berries, apricot kernels, etc. Gently melt the coconut oil on a low-medium heat in a medium sized pot. Next, add in your chosen superfood. 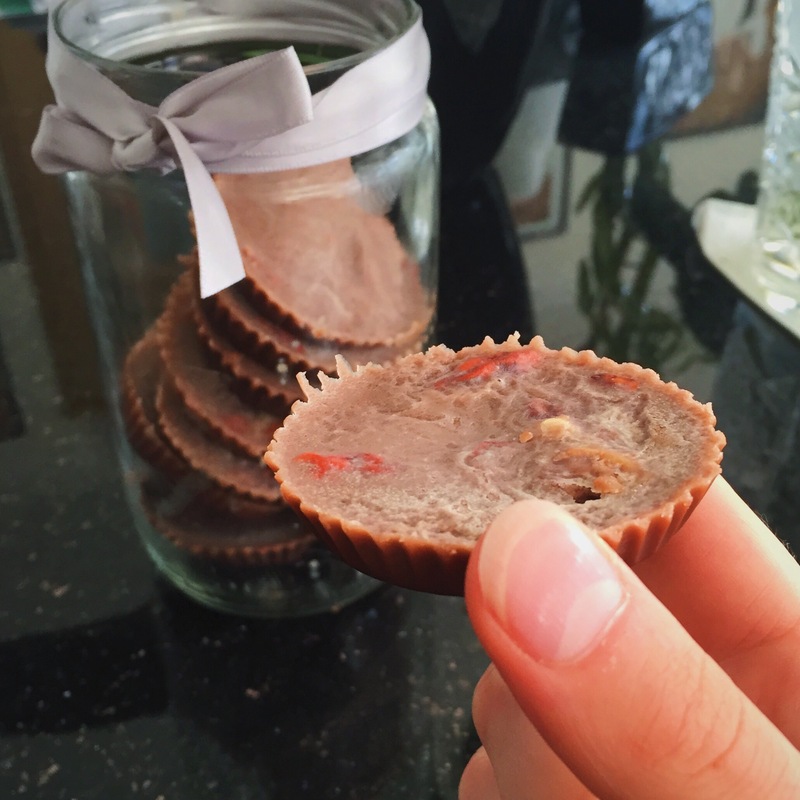 (I used Creative Nature Goji berries because I think the chewy texture adds another dimension to the treat as well as a speck of vibrant red amongst the brown colours – but that’s just my blogger’s mind thinking!) 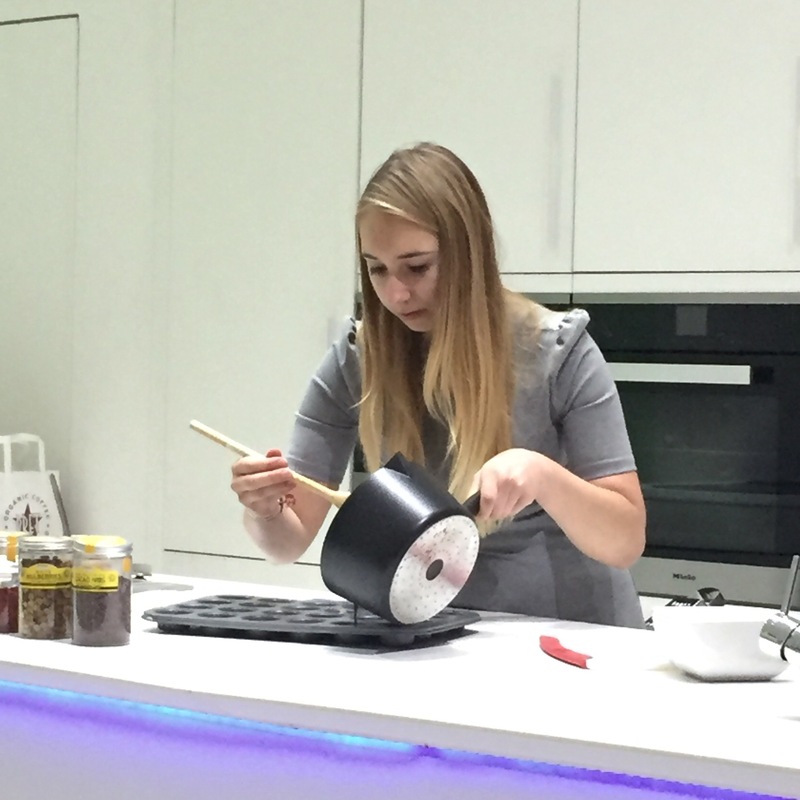 Stir the mixture thoroughly until the desired consistency is reached. 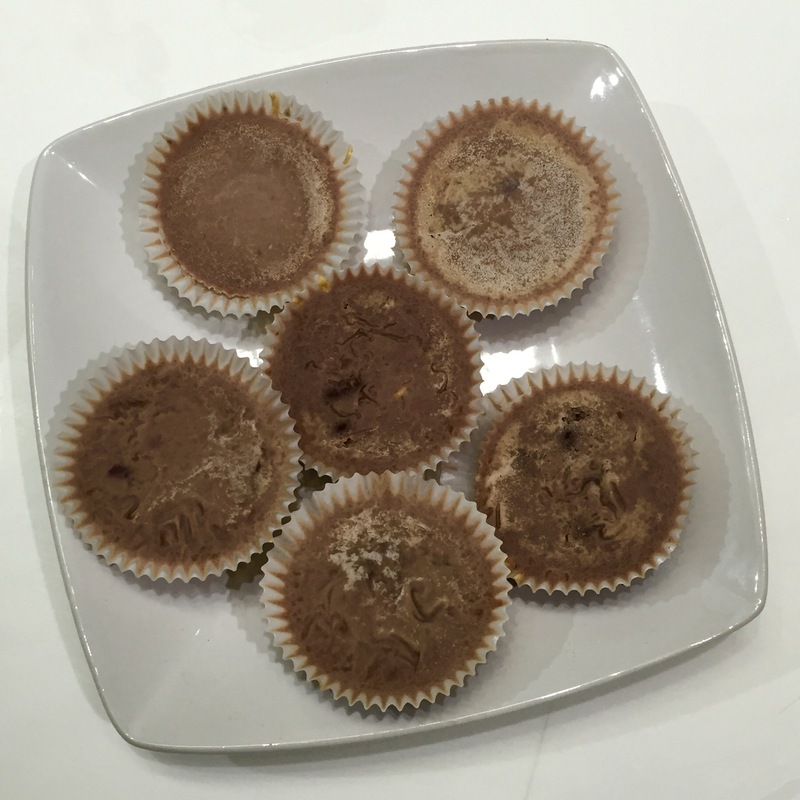 Pour half of the cacao mixture into the bottom of each individual chocolate mould, muffin/ ice cube tray or cupcake case. 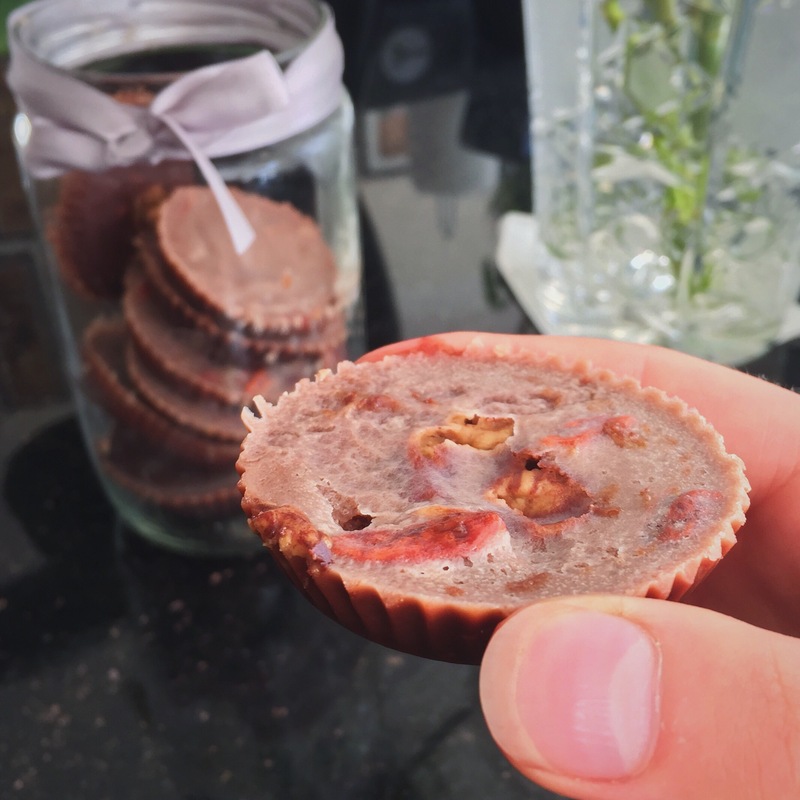 Follow with a (tea)spoonful of nut butter and sprinkle of chopped peanuts (for a delicious crunch); then top with a final layer of the cacao mixture. Place in your fridge for at least 30 minutes to set. Remove the ‘Snickers’ treats five minutes before serving & ENJOY! As featured on the Creative Nature website.